Last week I spent quite some time researching the best of the best ocean crafts for kids to make. Crafting is a great way to help children develop fine motor skills, improve hand eye coordination, hand strength, and grasping skills. 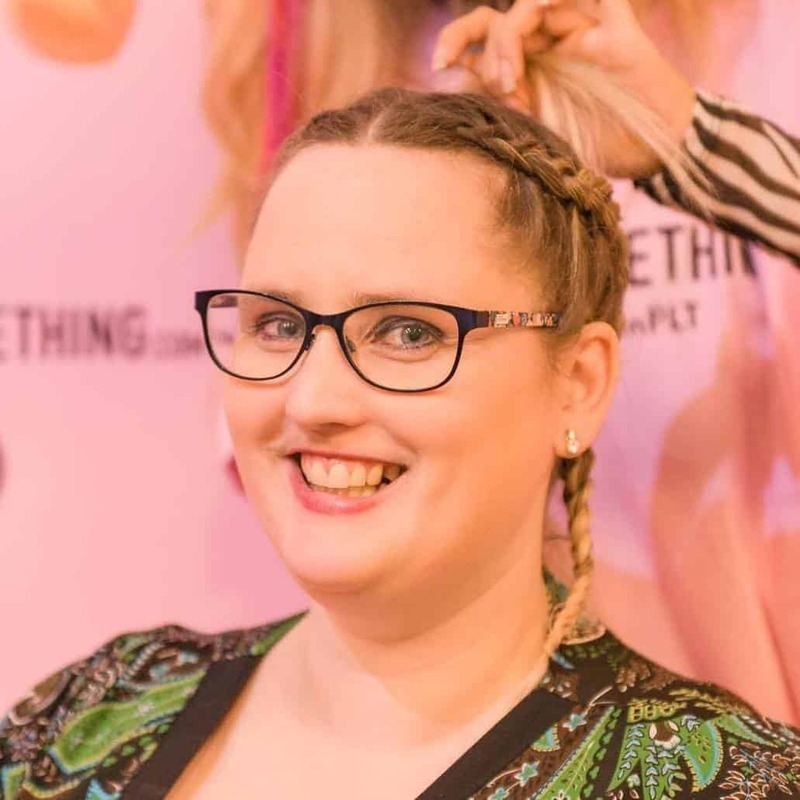 When I was a Kindergarten teacher I loved creating crafts with the kids, creating ocean themed displays and simply using the ocean theme to encourage fun, learning and development. 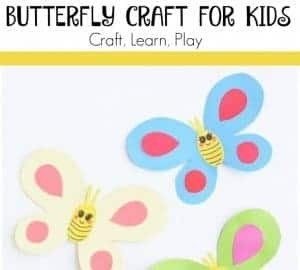 Here we have 101 fantastic ocean crafts for preschoolers, Kindergarten kids and beyond and I’m really excited to share these wonderful ideas with you. 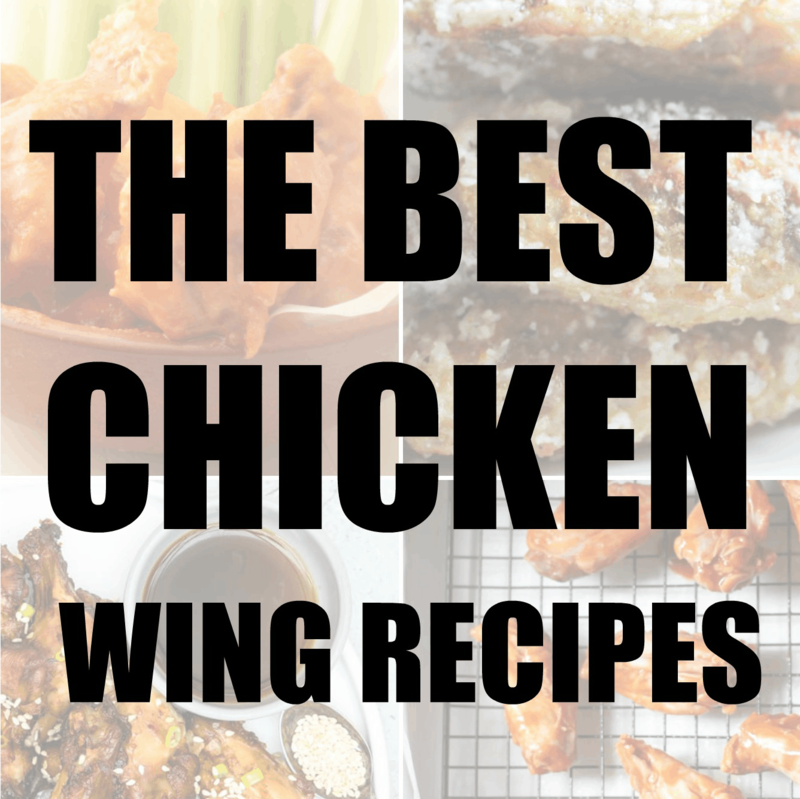 I hope you love this list! This is a super cute Hermit crab handprint craft with is easy to make with basic paper materials and paint. I love this paper cup craft with cute eyes. The claws are super cute and he has a great smile. Maggie at Red Ted Art has the cutest shell themed crabs. They are easy to make with pipe cleaners. Why not try rock painting. You could try out this rock painting tutorial and learn to paint sea creatures on rocks. I do love a good paper plate craft. This is a fantastic idea and simple for preschool kids to make. If your interested in bookmarks crafts then try this fantastic and easy corner bookmark. Cupcake liners are a fantastic and easy way to create under the sea craft for preschoolers. I do love this fun paper plate ocean plate craft, it’s fun and very imaginative. The shell crabs with googly eyes look really cute and easy to make. I do love these ones. How about a toilet tube under the sea craft? 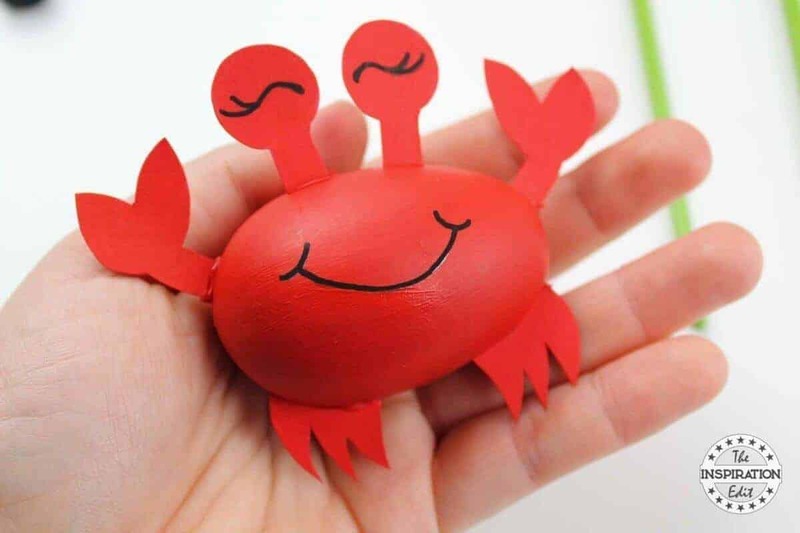 This toilet tube crab is an easy and simple kids craft. Here is another fantastic paper plate folded crab. You could try sponge painting to make this under the sea craft. I do like to recycle which is why I love these styrofoam crabs by Amanda. Here is another paper plate crab with really cool sticky out eyes. You may enjoy making ocean themed hats with the little ones. A flower pot crab is such a fun and easy idea and great for recycling old pots. This crab is part of our Under the sea crafts for toddlers and preschoolers collection. It’s easy to paint and there is a free template so you can do the prep work and let the kids enjoy the painting and sticking. Have you tried footprint art with toddlers. It’s a fun sensory activity and you could make lots of different sealife creatures wityh this technique. Bug and buddy have some brilliant starfish creations which are a great way to help with fine motor skills, scissor skills and gluing. I love origami and this under the sea themed origami whale is super fun to make. Here is another cupcake liner craft which is easy and quick to make in the preschool or kindergarten setting. What about trying this colourful whale craft the kids can practice cutting and sticking and it has a love heart theme. 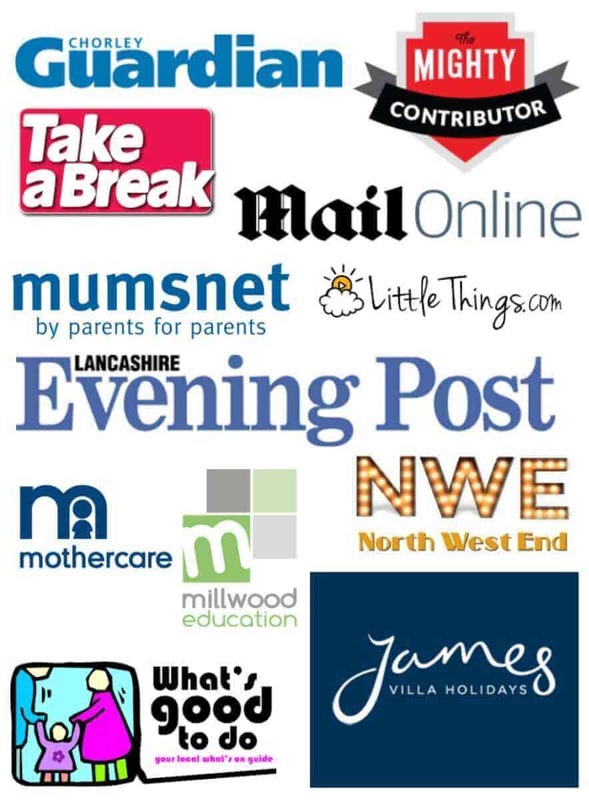 Have you thought of recycling jugs and milk bottles? I wonder what Sea Creatures you could make from milk jugs? This Orca whale is a cute valentines themed whale craft kids will love. Try this Whale rock painting tutorial, it’s fun and all you need are some paint pens and a stone. Have you tried egg carton sea crafts? This is a fantastic whale craft and I just love the way the pipe cleaners used to create the water spouted from the whales head. Here is fantastic origami craft for kids and it’s a cute family of whales. How adorable. Try a Sea shell whale. It’s an interesting and lovely idea created by Kate..I just love this. How do preschool crafts help kids develop social skills? Not only do preschool crafts help little ones to develop fine motor skills and other physical developmental milestones, crafting is a great way to help little ones develop social skills. Fun crafts for kids can provide opportunities to talk and engage with others whilst using the imagination and having fun. Arts and crafts provide ample opportunity to get social in the classroom, at the library, at church or home. Kids might like to work on an art project together and this can help not only with social development, helping kids to learn about relationship, but can also help with problem solving skills and friendship building. This is a fantastic shark puppet craft for kids and I love how simple and easy it is to make. Have you seen a rockin paper plate shark? Here is a fantastic made with basic art supplies. I love the teeth on this shark corner bookmark. Corner bookmarks are fun to make and often only require glue paper and scissors. Are you a fan of this cupcake liner shark? I think it’s super cute and love how the two colours used together give it personality. Here is a Shark themed rock painting which is quite simple to make. Give the kids some Posca paint pens and let them use their imagination and get crafty with the under the sea theme. I love this paper bag shark made by Kate from Crafts At Sea. It’s so simple and easy to make and perfect for kindergarten kids or as a home project. Have you ever made under the sea crafts using a pool noodle? If not check out this fantastic idea. I just love it. I don’t know why but I love Octopus craft ideas and this foam craft is a simple and great idea for promoting fine motor skills. The cardboard tube Octopus is so simple and cute and you could make a few of the ocean toilet tube ideas in different colours. Simple is always good and I like this simple and colourful orange octopus. I love this Octopus and the crepe paper technique used to make tentacles. Have you made ocean animals from yarn before? Maybe try this fun idea. You could make a whole family of them. 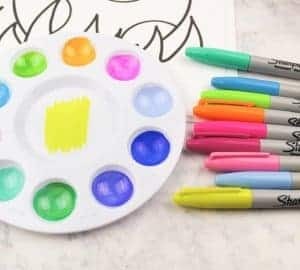 Puffy painting can be fun and this craft is sure to go down well as a fun ocean themed painting idea. Make sea creatures using nuts. What a fun and imaginative ocean craft for kids. I think this bookmark Octopus is a fantastic idea and you could make this and us it to bookmark your ocean themed books. Check out our super fun Paper Weave Turtle Craft with Free Template! Have you ever made a paper plate Sea Turtle? Why not try this idea over on Free Kids Crafts. I’d love to create this egg carton sea turtle. It is super cute and an easy craft idea for toddlers. Sometimes simple is best and this paper strip turtle is a fun and simple ocean craft idea for kids. Try making a paper plate collage Sea turtle. It is very effective and a great way to incorporate sticking into the day. Bowl turtles are fun and can be made with lots of different and interesting paint colours. Enjoy. Have you tried Black Glue Art to create Ocean Crafts? If not this fantastic idea is sure to go down well. Origami Turtles are a fun and interesting take on ocean themed crafts and I love the googly eye addition. You can make a paper bowl Sea Turtle using a few simple materials. Here is another love heart themed under the sea paper craft. Isn’t it adorable. 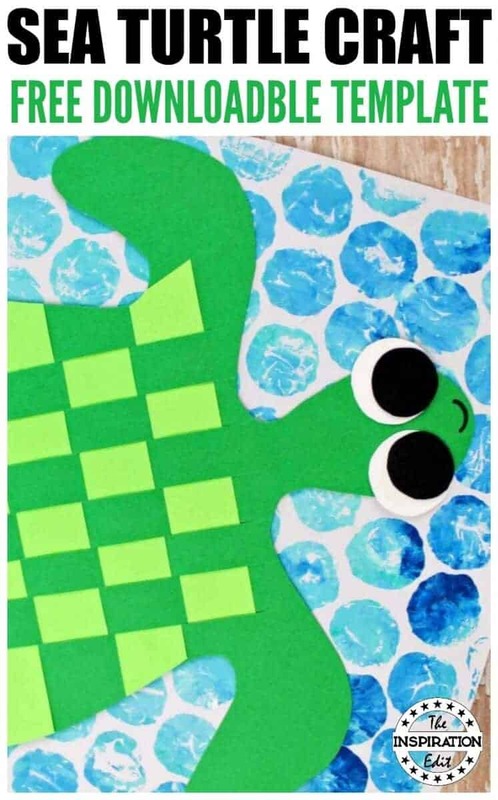 Cupcake liner sea turtle crafts are fun and easy and would go great on an ocean themed display in the classroom. I do like this simple Paper plate turtle Craft, it’s so easy to make and great for fine motor skill development. Egg turtles are a great under the sea craft idea and would be fantastic to make as part of a teaching moment to teach how turtles travel and migrate. 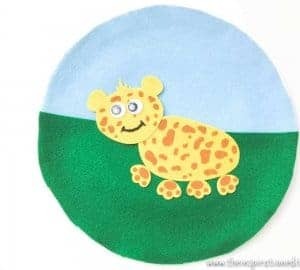 This is a great handprint and alphabet craft which helps teach the letter T whilst getting creative and having fun. Have you tried making Salt Dough crafts. If not you might love these crabs and turtles. This bubble wrap ocean themed idea is sure to go down well and a great way to introduce print to kids. Rainbow foil fish are super cute and a different craft idea I’ve not seen before. This could look amazing on a school display. Have you tried embossed crafts? These simple fish craft ideas are really colourful and fun to make with kids. I loved sharing this foam fish on a stick idea. It is simple and effective and easy to create. Why not try a paper plate fish with cupcake liner fins? This is so cute and you could try making it in different colours too. An ocean craft using buttons is a fabulous and fun way to create an under the sea themed collage. Do you know how to make fish puppets? 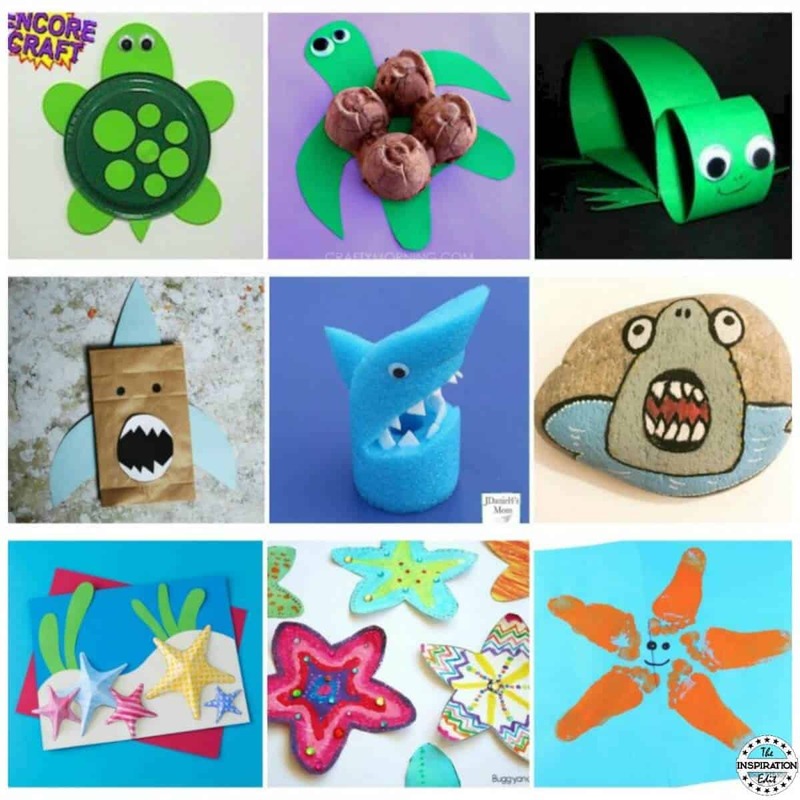 These under the sea puppets are easy to make and super cute. 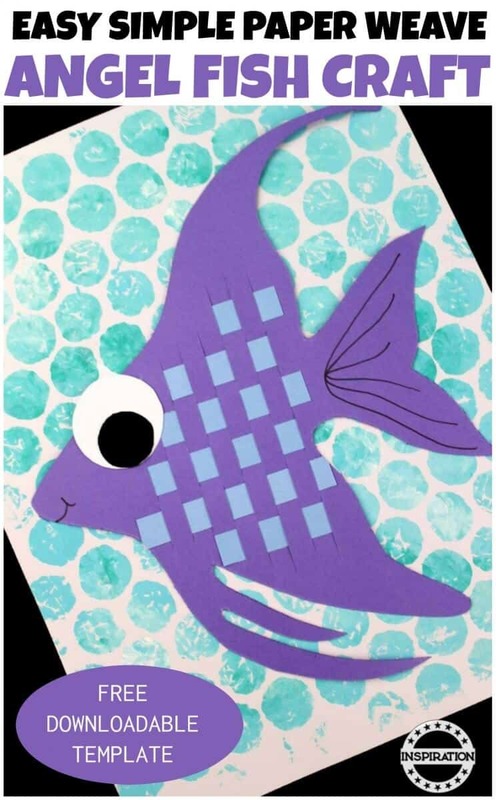 Weaving is a fun craft and this paper weave fish is a fantastic idea from Easy Peesy and fun. Try making CD Sea Creatures using old CD’s. This is a fantastic recycle craft for kids. Here is a fun paper plate fish idea. I Love the green and red colouring and it’s a easy ocean craft. I love these super cute toilet tube fish. They are adorable. The pom pom gold fish is fun and you could make a whole lot of these with your toddler. The paper plate rainbow fish is sure to go down well and could be used alongside the children’s book rainbow fish. Another paper weave ocean craft which is colourful and cute and kids will love. Try making paper plate tropical fish with the kids. This could be a very fun idea and you might want to try making dory or nemo. I like this simple fish craft and origami idea over at red ted art. Also a great way to discuss shapes with preschoolers. This popsicle stick fish craft idea is super cute and let’s the kids have fun with glitter. Cupcake liners are a big hit on this post and the different size liners create an effective under the sea collage. Do you love this paper tissue craft for kids as much as I do? You could make this and teach kids about colours as you go. Coffee Filter crafts for kids are a big hit and can make some amazing colourful fish crafts with this technique. Pasta fish! Have you heard of this before? 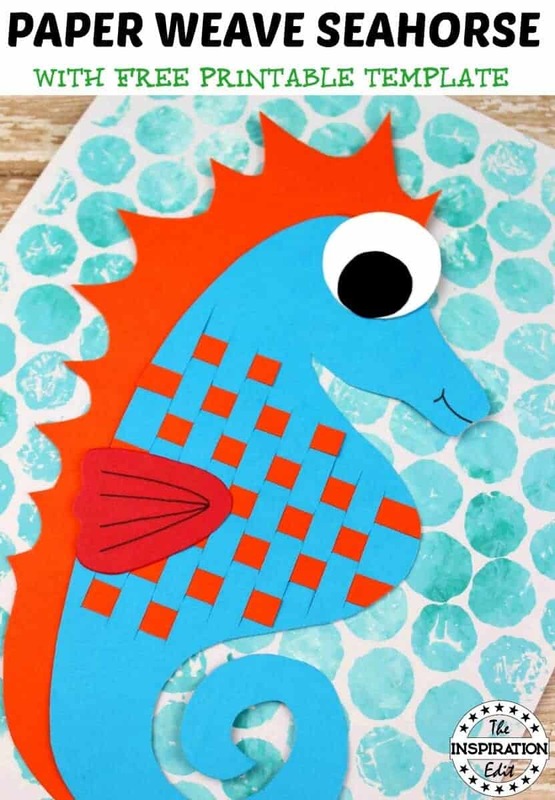 I think this is a fun and easy fish themed craft for kids. Here is another black glue craft for kids which you could really enjoy making. I have not seen cupcake liner Seahorse crafts before but love this simple and effective idea. Have you tried this scrunched tissue paper seahorse art idea? I think it’s very cute. Jellyfish are super cute and so is this heart themed under the sea craft. The paper plate Jelly fish is cute and uses wool to add a colourful effect. Preschool kids will love this ocean craft. Try making ribbon Jelly fish. The eyes are huge and the kids can choose the ribbon to use. Ocean crafts that promote fine motor skill development are fantastic and I love this Jelly fish using paper clips. Paper bag ocean crafts can be very fun and simple to create and this one is super cute. An upcycled CD is a great way to recycle with kids and make funky sea creatures. Have you ever made a suncatcher? Try this Jelly fish one. It’s super cute and I really do love it. I do like this paper plate craft and think the tentacles are really cute. I think making silly string jellyfish is a fantastic idea and really do love it. I know this is a huge post and there are lots of amazing ideas. I hope you love them as much as I do and it helps with ideas for crating in the home or preschool and kindergarten settings. 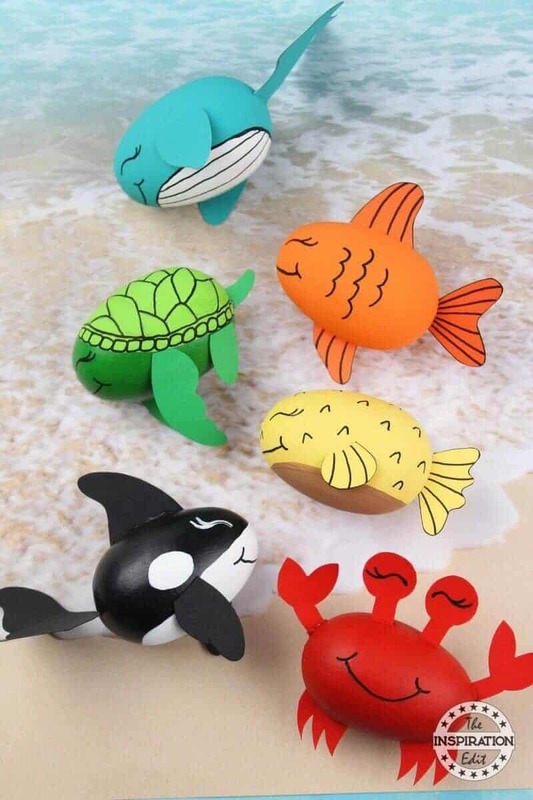 I am excited about Ocean crafts and recommend you visit our Summer Crafts category for more amazing ideas and tutorials. Wow, what a great post! I love the idea of creating paintings on rocks. The crabs look adorable! Thanks. Making the crab on the rock was fun! I really enjoyed it! Great idea! I think that’s a fab craft! This is such a super sweet round up for summer! These are super cute and great! I wish I had seen this 2 weeks ago when we had to make underwater sea life creatures as my son’s school homework. He would have loved making these. It will be super fun…I’m sure! Thanks laura. I found the best ones i could from around the internet and I think they are great too! Oh wow! This is such a great list. I love the painted pebbles – I keep seeing these around my town, I think they have some kind of trial of them. Yes we love to paint rock stones. It is really fun! Wow so many themed crafts! 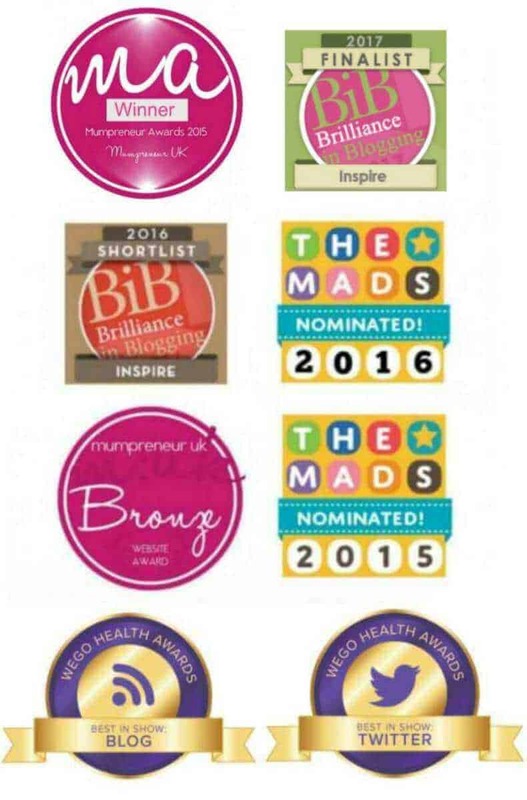 I’ll definitely be pinning this for inspiration on a later date! Awesome! I hope it comes in handy!